A team of researchers and biomedical engineers at Duke University in North Carolina, US, have revealed that they have developed a fully functioning human heart muscle which can be manufactured large enough to patch over dead tissue caused by heart attack damage. Where will the next cardiovascular breakthrough come from? British Heart Foundation’s Jennifer Mitchell, Research Communications Officer, explains the work they are doing to find the next breakthrough treatment for cardiovascular disease. 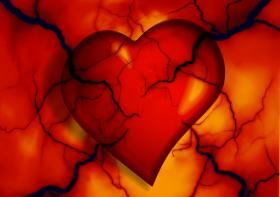 Over the past 50 years the number of people in the UK dying of cardiovascular disease each year has halved. This reduction in deaths can largely be attributed to an increase in society’s understanding of heart disease and the improvements in lifestyle and treatments that this knowledge has led to. Great news in the cardiovascular space as results from the National Heart Failure Audit indicate that better treatment has led to hundreds of lives being saved, with the mortality rate associated with heart failure in England and Wales dropping to 8.9% in 2015-16 from 9.6% the previous year. Scientists from the University of Oxford have developed a heart scan that can identify inflammation around arteries that can suggest the increased likelihood of a heart attack. The possibility of the scan being available to those at a higher risk could then be helpful in determining whether they required medication to manage this danger. 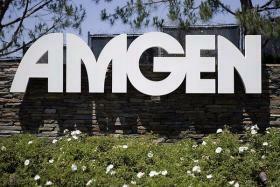 Amgen has earned sign-off from the FDA for Corlanor as a treatment for people with worsening heart failure symptoms. Corlanor (ivabradine) is now approved for use in certain people who have long-lasting (chronic) heart failure caused by the lower-left part of their heart not contracting well. The drug is indicated for patients who have symptoms that are stable and who are also taking beta blockers at the highest dose they can tolerate. Takeda has attempted to settle its hefty damages bill over claims it was hiding cancer risks in its diabetes drug Actos by offering to pay $2.2 billion. 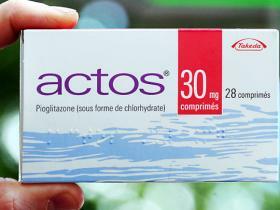 The statements made last year accused the Japanese firm of covering up concerns that Actos (pioglitazone) can cause or worsen heart failure, plus slightly increase the risk of bladder cancer. In what will be one of the largest US settlements of patient lawsuits, Takeda is set to resolve over 8,000 court litigations with each costing around $275,000 per case. 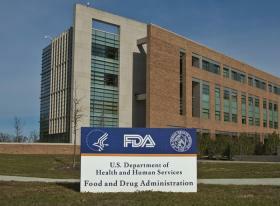 The FDA has approved Eisai’s thyroid cancer drug Lenvima and also granted Novartis heart pill LCZ696 a priority review. Lenvima (lenvatinib) has been approved in the US to treat the most common type of thyroid cancer – differentiated thyroid cancer (DTC) – and is for patients whose disease has progressed despite receiving radioactive iodine therapy. 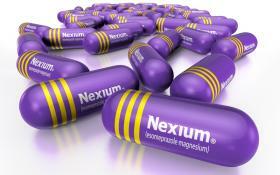 Teva has won approval for its copycat form of AstraZeneca’s big-selling heatburn drug Nexium, making it the first generic version of the treatment sanctioned in the US. The non-specific version of the capsules have been approved to treat adults and children with gastroesophageal reflux disease (GERD).